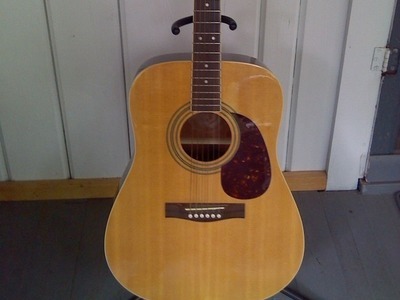 First Act acoustic guitar. Like new. Replaced nut and strings for better sound. Comes with gig bag.